A Vegas trip isn’t complete without a trip to the Hoover Dam. 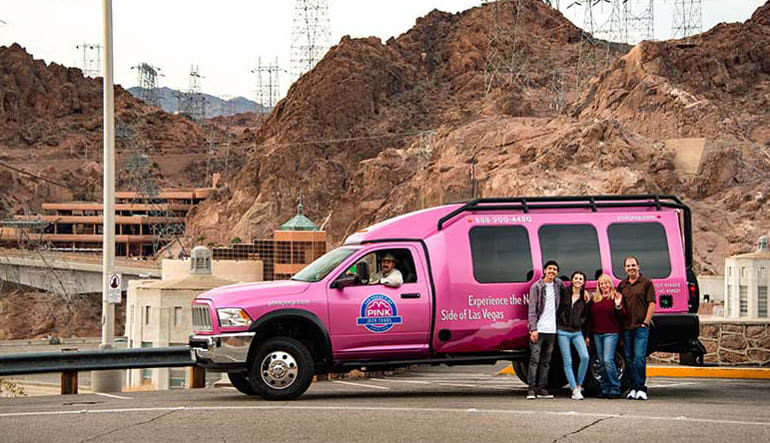 This jeep tour promises views looking down onto the Hoover Dam as it holds back Lake Mead from the 900-feet-tall bridge. A Vegas trip isn’t complete without a trip to the Hoover Dam. 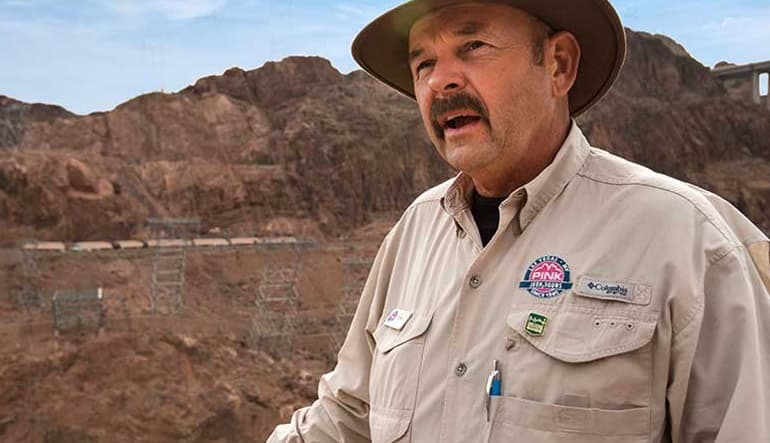 This jeep tour promises views looking down onto the Hoover Dam as it holds back Lake Mead from the 900-feet-tall Michael O’Callaghan—Pat Tillman Bridge. 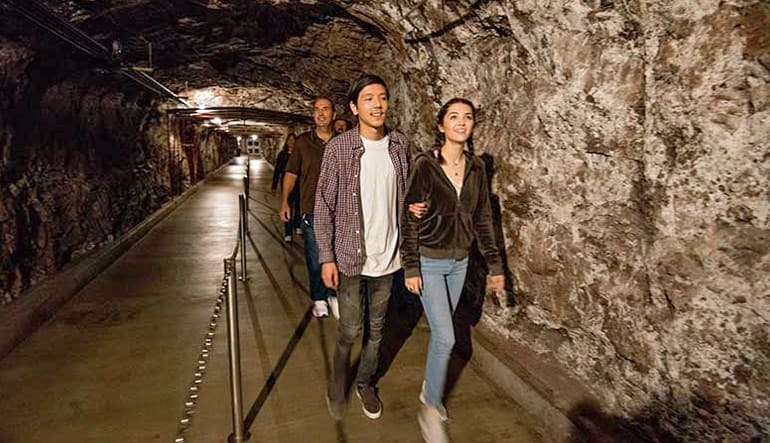 On this guided tour, you’ll gain remarkable views on, around and above this National Civil Engineering Landmark. 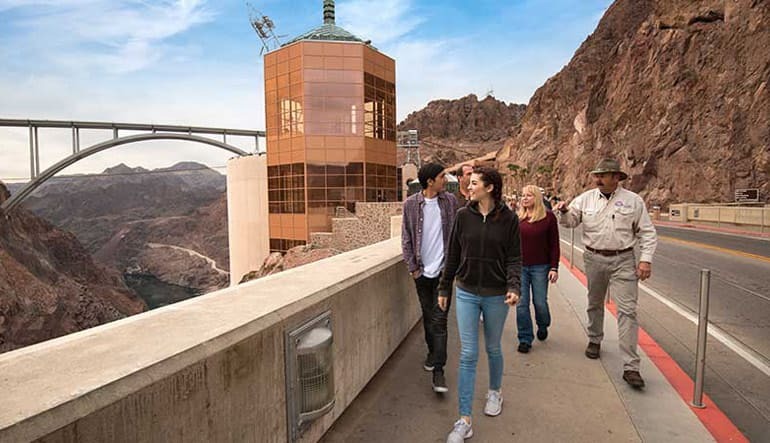 The Hoover Dam is the shining gem of our tour; standing over 700 feet tall, it has the capacity to irrigate two million acres and provides power to southern California, Nevada and Arizona. Built over 4 years during the Great Depression, its creation provided thousands of jobs. As for the jeeps themselves: they’re highly luxurious and feature extra room for a first-class passenger experience. Don’t miss out on this sprawling Southwest adventure—book today!